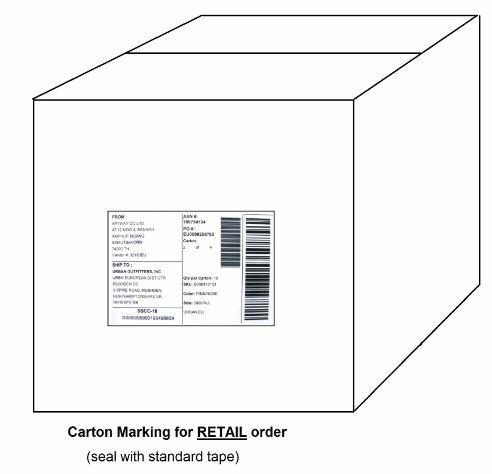 After you’ve processed your product in the URBN compliant way (Ticket, Poly-bagged, SKU label applied), you will be required to pack these in carton sizes not exceeding certain dimensions. As a Homewares vendor we anticipate that the product(s) may exceed the standard carton sizes listed. This fine, but please notify the URBN Inbound team. URBN recommends that you pack your products into the industry standard BDCM 1 to 3 series cartons. Anything under these dimensions are fine. Each carton must contain only ONE purchase order. The weight of each carton must NOT exceed 13 kgs. Each carton shall contain only one size and one colour of one style. Homewares or Media orders raised for 50 units or less can be mixed within cartons. If a mixed carton is necessary, the items must be separated by a layer of corrugate or paper. The carton must be clearly marked as a “Mixed Carton” containing multiple SKU’s on the carton label. All requirements are as above. Please use the carton marking as a guide. 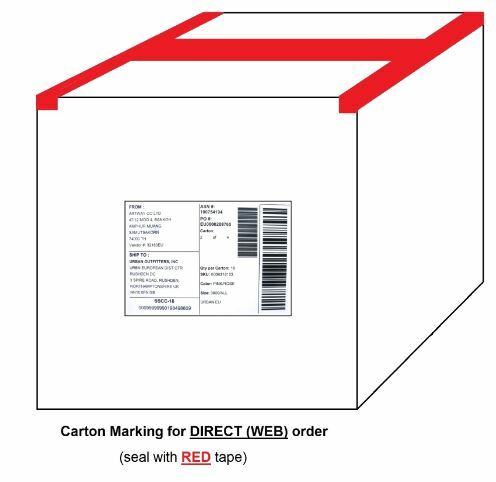 All requirements are as above, with the additional requirement that all cartons for the DIRECT/WEB business (specified on your PO) will need to be sealed with RED tape. 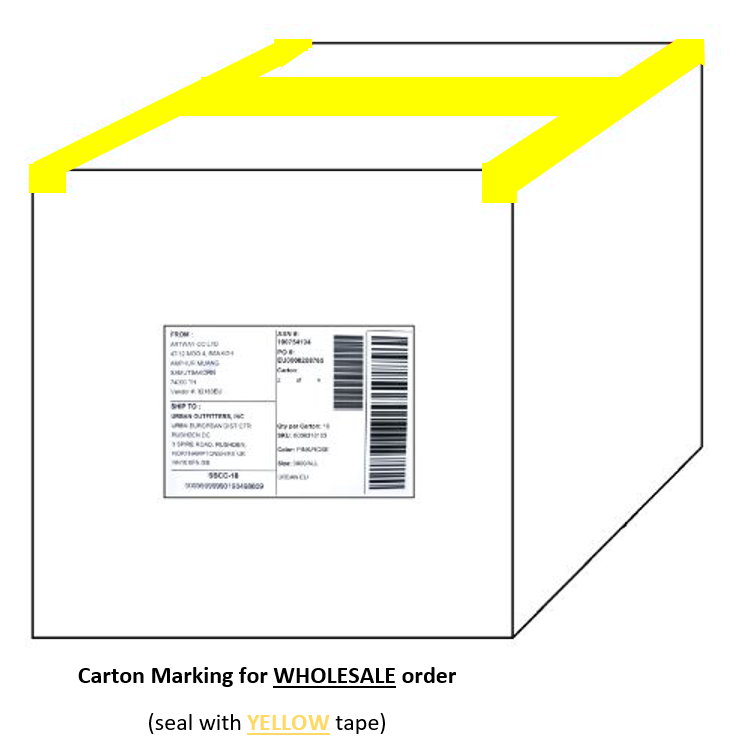 All requirements are as above, with the additional requirement that all cartons for the WHOLESALE business (specified on your PO) will need to be sealed with YELLOW tape. *IMPORTANT MESSAGE* – Any garments that arrive at the DC out of the above guidelines (non-compliant) will be issued a non- negotiable chargeback.